I think he’s trying to climb in between the couch cushions. Hopefully he’ll find my lost earring and a couple bucks in change down there. Good thinking Baby, time to earn your keep! 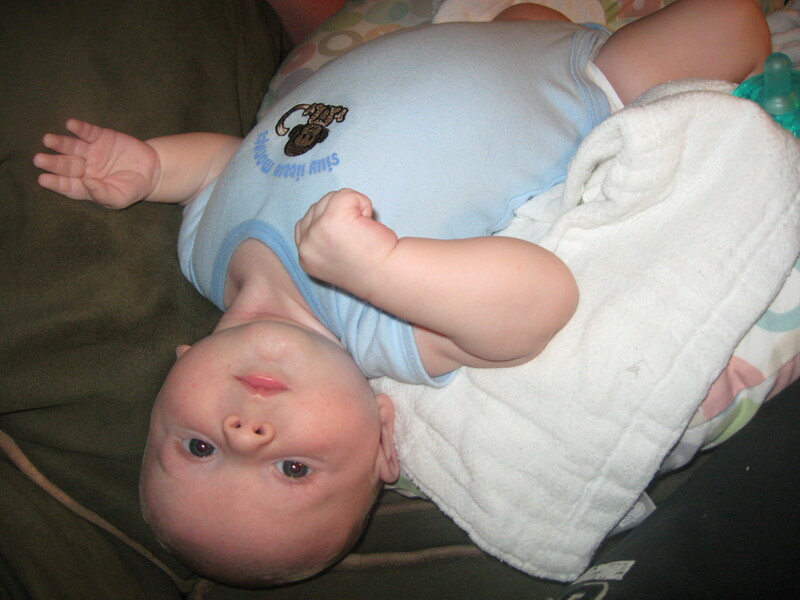 He does this to himself, kicking and thrashing and squirming backwards. I’m hoping all that blood rushing to his head is a good thing. Maybe it will increase his brain development? Improve his baby complexion? Help him grow more hair on his GIANT BALD SPOT? I don’t know if I should be worried about this, since the internet is shocking devoid of helpful search results for “two month old baby loves upside down”. But it is really weird and Lord knows my baby is already doomed in the weird department. 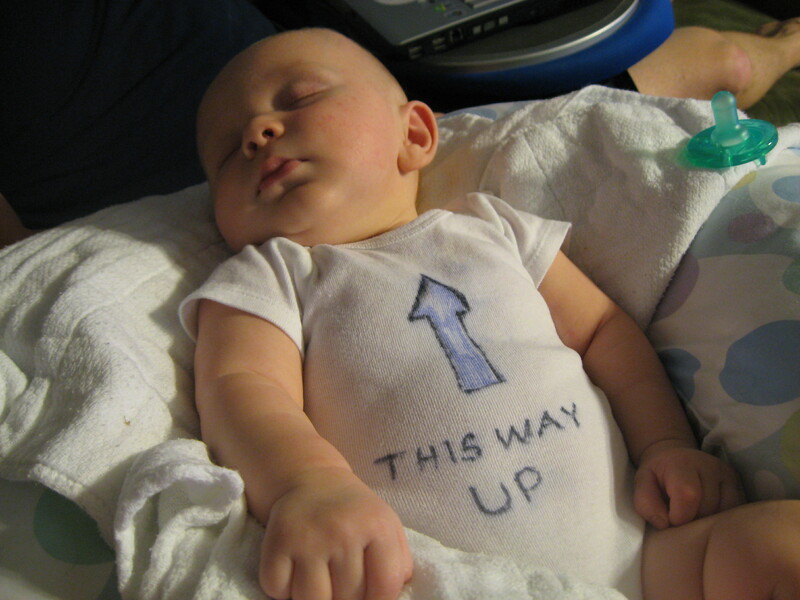 I love the onesie! :D Ev likes the being upside down too. We call him our stunt baby because nothing makes him happier than when we pin his hips against our shoulders and walk around that way.